Having narrowed coalition talks from four to two parties last week, it didn’t take long for Norway’s new government to emerge formally on Monday. 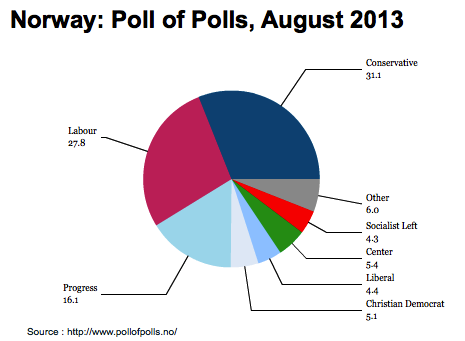 As widely anticipated, the leader of the center-right Høyre (literally the ‘Right,’ or more commonly, the Conservative Party), Erna Solberg, will become Norway’s next prime minister, but she’ll lead a minority government in coalition with just one of Norway’s three other political parties, the controversial anti-immigrant Framskrittspartiet (Progress Party) after two smaller center-right parties pulled out of coalition talks earlier this week. 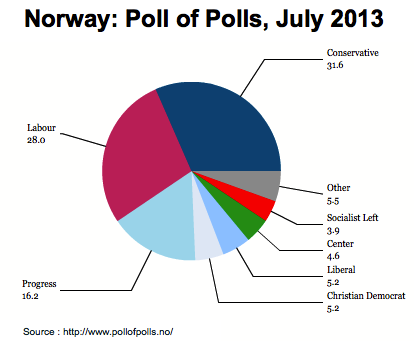 I wrote before the election that pulling together all four parties on the Norwegian right might prove problematic. Sure enough, both the Kristelig Folkeparti (Christian Democratic Party) and Venstre (literally, ‘the Left,’ but commonly known as the Liberal Party), which will hold 10 and nine seats, respectively, in the next parliament, will not join the government. Though both parties have agreed to provide support to Solberg from outside the government, it’s not an auspicious start for the broad four-party coalition that Solberg hoped to build after last month’s victory. 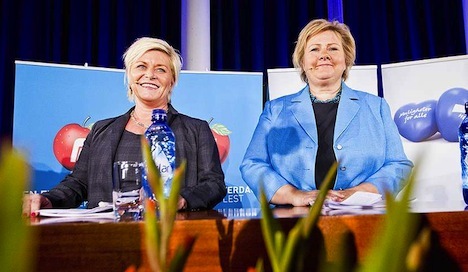 It was no surprise on Monday to see Erna Solberg, the leader of the Conservatives and Norway’s likely next prime minister (pictured above, right) and Siv Jensen, the leader of the Progress Party (pictured above, left) announce their governing agenda. That agenda came with few surprises from the general framework largely set forth last week — a push to tightening Norway’s immigration laws (for non-Europeans), lowering Norway’s tax burden and, importantly, an agreement not to deviate from the ‘4% rule’ that prohibits more than 4% of the country’s massive $790 billion oil fund to be used in the annual Norwegian budget, and a commitment to avoid exploration for resources in protected Arctic areas. Both parties generally hope to unlock economic growth and modernization through tax cuts and decentralization of power from Norway’s central government. 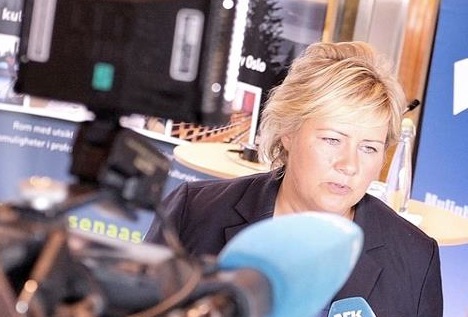 Kristin Skogen Lund, director-general of the Confederation of Norwegian Enterprise, welcomed the “shift in direction for Norwegian politics”…. Ms Skogen Lund also welcomed the shift in focus of the oil fund from consumption to investment. The outgoing government had spent only about 14 per cent of annual proceeds from the fund, she said, when all of it was supposed to be directed into infrastructure, education and tax reduction. That’s important in light of Solberg’s goal to reduce the value of the krone, Norway’s currency — inflation, along with high labor costs that have made Norway’s exports relatively uncompetitive, are the largest challenges to an economy that’s at risk of overheating (to the contrary of much of the rest of Europe). Though the ‘investment’ will surely stimulate Norway’s economy, it will do so for long-term benefits. That makes the Solberg ‘investment fund’ plan unlike, say, the 2009 US stimulus package enacted into law by US president Barack Obama designed to do the opposite — boost short-term aggregate demand. Solberg’s government will also explore the possibility of splitting the country’s oil fund, the world’s largest sovereign wealth fund, into two smaller entities to encourage competition and maximize Norway’s investment returns. 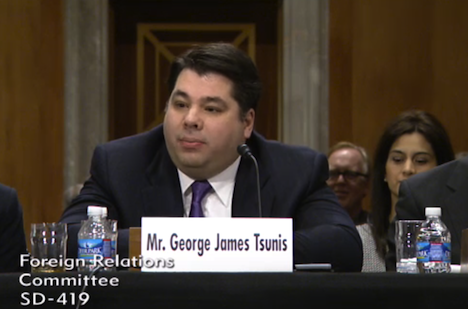 The two parties remain at odds over cabinet posts, though it’s widely expected than Jensen will hold the finance portfolio. 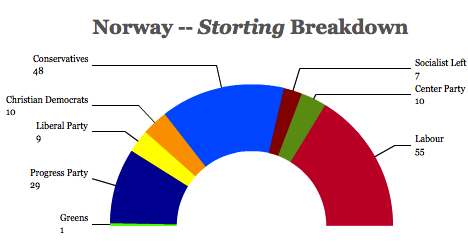 By way of background, the Conservative/Progress coalition will hold 77 seats — and all four center-right parties will hold 96 seats — in the 169-member Storting, Norway’s parliament. 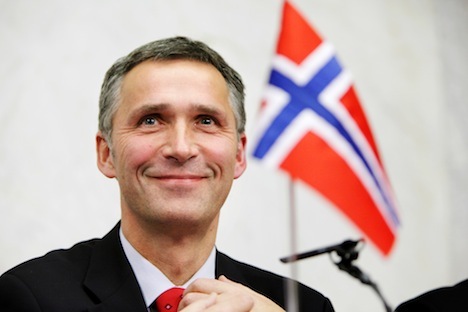 Though the center-left Arbeiderpartiet (Labour Party) of outgoing prime minister Jens Stoltenberg won more seats than any other party in the September 9 election, its coalition allies suffered huge losses — the Conservatives placed a close second and the Progress Party finished third, and a broad center-right government had been widely expected even before the election. Top photo credit to Vegard Grøtt / NTB scanpix. Just less than a month after Norwegians went to the polls, the contours of Norway’s new government are taking shape — and it’s not exactly what everyone expected. I wrote before the election that pulling together all four parties on the Norwegian right might prove problematic. Sure enough, both the Kristelig Folkeparti (Christian Democratic Party) and Venstre (literally, ‘the Left,’ but commonly known as the Liberal Party), which will hold 10 and nine seats, respectively, in the next parliament, will not join the government. 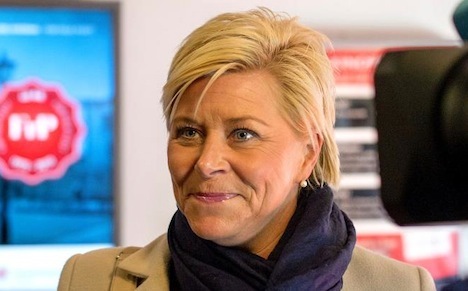 Though both parties have agreed to provide support to Solberg (pictured above) from outside the government, it’s not an auspicious start for the broad four-party coalition that Solberg hoped to build after last month’s victory. The absence of the Christian Democrats is particularly difficult, given that they led the last center-right Norwegian government — that of prime minister Kjell Magne Bondevik between 1997 and 2000 and 2001 to 2005. The Progress Party, meanwhile, will enter government for the first time since its foundation in the 1970s. Founded as an anti-tax movement determined to roll back the Norwegian social welfare state, the Progress Party has also become increasingly anti-immigrant. While it’s certainly tame compared to many of Europe’s more xenophobic anti-immigrant parties, it’s easily the most controversial party in Norway (not least because mass killer Anders Behring Breivik was once among its members). Anxiety about the Progress Party’s new, unprecedented role in government is one of the reasons that the Christian Democrats and Liberals may have been wary of formally joining Solberg’s coalition, which will now become Norway’s most right-wing government in a century. 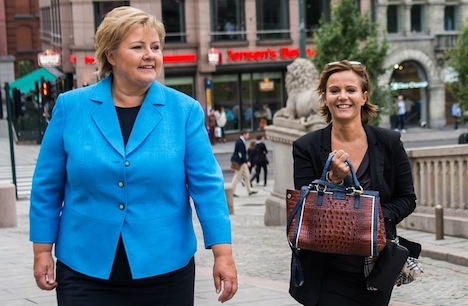 Solberg, on the other hand, slowly gained the trust of Norwegians after rebranding the Conservatives into a more welcoming, more national party that’s transcended its base catering to business interests in Oslo. 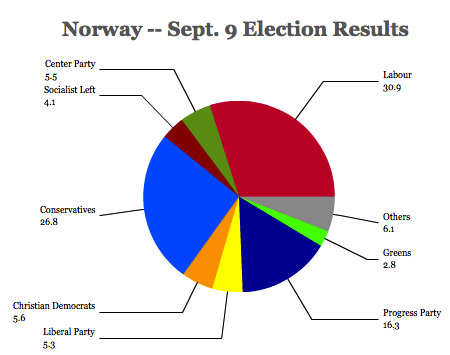 Although the Conservatives and the Progress Party agree on economic policies like tax cuts, the Conservatives have positioned themselves as an ever-so-slightly right-of-center party who would leave in place much of the mainstream policy preferences of the outgoing center-left Arbeiderpartiet (Labour Party) — you can characterize ‘mainstream’ in Norway as full commitment to a generous social welfare state, mixed with strict fiscal discipline that diverts much of Norway’s oil largesse into its $780 billion investment fund, the world’s largest sovereign wealth fund. Given that the Labour Party, led by the popular outgoing prime minister Jens Stoltenberg, still managed to win more votes than any other party — and seven more parliamentary seats than the Conservatives — last month (a feat Labour has repeated in every national election since 1918), that’s a wise move on Solberg’s part. 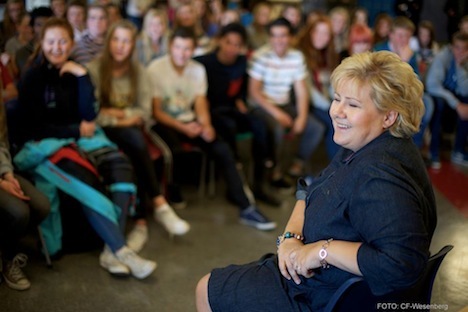 But balancing the moderation that Norwegians expect from her with the Progress Party’s expectations was always going to be difficult, and Solberg’s dream of a broad four-party coalition will be the first casualty of those competing expectations. That balancing act informs much of the resulting agreement between the Conservatives and Progress and, more generally, among the four right-wing parties that Solberg will need to satisfy to keep her minority coalition in government — it’s more notable for what the government won’t do than what it will. The government faces a much different challenge than the rest of Europe — with GDP growth holding steady at around 2%, it’s overheating, not recession, that threatens the economy. Solberg’s challenge is how to keep the Norwegian krone from further appreciating, given that the country’s high wages are already making exports less competitive. Notwithstanding the election campaign, lowering the value of the krone might ultimately be the Solberg’s most pressing policy imperative.